This year it is a sort of coincidence that two of my favorite auspicious occasions have come on the same day. 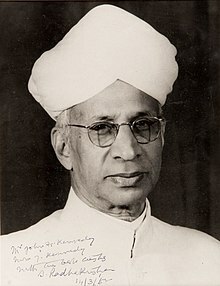 That are Vinayaka Chavithi (birthday of Lord Ganesha) and Teachers day (birthday of Dr. Sarvepalli Radha Krishnan, Educationist and the 2nd President of India). Vinayaka Chavithi is yet another festival which I enjoyed a lot during my childhood. We used to have at least half a day before the festival day declared as holiday at school. All of us children used to carry handful of bags and go around the village to collect leaves from several trees. Lord Ganesha loves leaves, fruits and flowers. Towards the evening, children gets home and help parents in decorating pooka place. Next day (on the festival day), morning, we used to get ready in the traditional Indian cloths and perform Puja to lord Ganesha with all flowers, leaves etc., That followed by a delicious lunch with a rice based dish similar to idly called “Undrallu” in Telugu and a sweet that has made with Coconut. Post lunch my friends (also relatives) specially Sailaja Duddu, Gayathri Vellanki and myself used to visit each and every house in our village and have Dashawn of Lord Ganesha in ach house. It was adorable to see great decorations in each house. Below is a video of Vinayaka Chavithi pooja process in Telugu. Source: TelugOne. Teachers day is another auspicious occasion that I celebrate. September 5th, birth anniversary of Dr. Sarvepalli Radha Krishnan, educationist and Former President of India is celebrated as “Teachers day” in India. This is an opportunity to express gratitude to teachers for all that they have done to uplift a student. In today’s scenario where both parents usually go to work, it’s teachers who actually empower children and drive in right direction. However, sadly, today there are lack of quality teachers in India and education has become a mere business in some parts. We should change this. In my childhood, on the teachers day, we used to play role of teachers for one day and then felicitate our teachers and bow at their feet. On this auspicious occasion, my sincere gratitude to all my teachers, who taught me in school, technology, accessibility, culture and everything. I advice all children of today to be respectiful to your teachers and grab as much knowledge as possible. Still there are a lot of good teachers, let’s gain good advice and knowledge from them and prepare next generation of great teachers. It’s also coincidence that Vinayaka Chavithi is also birth day of my father-in-law Late Shri. Jeelakarra Sathyanarayana Murthy Gary (Hema’s father); my sincere respects and we are sure he will shower his best blessings to us and our children.